There is rising tension at Tuobodom, the Techiman North District capital, as some supporters of the five people who were gunned down by five attackers in 2015, are planning reprisal. The Tuobodom Traditional Council has therefore called on the Attorney General to, as a matter of urgency order the re-arrest and prosecution of the five arrested in connection with the murder to avert any bloody clash. 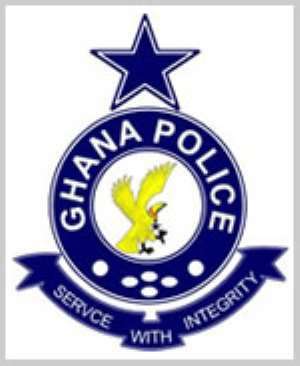 The five suspects Komfo Kokoo Tano, Babaka, Clement alias Kenya, Kwame Philip and Stephen, allegedly shot dead the five - Nana Yaw Kyeremeh, Kwaku Firi, Kwaku Duah, Okrah Yeboah and Uncle George at Tuobodom in a broad day light. The suspects, who were wielding guns on motorbikes and allegedly fired several shots at the deceased, were arraigned before a Sunyani District Court for murder, but the Court granted them bail somewhere in September 2015. A petition signed by Nana Asare Baffour II, the Paramount chief of the area and made available to the Ghana News Agency (GNA), expressed worry that since the suspects were granted bail, the case had not been heard. Copies of the petition were sent to the Chief Justice, Inspector General of Police, Brong-Ahafo Regional House of Chiefs, Brong-Ahafo Police Command, the Asantehene Otumfuo Osei Tutu II, Chief of Staff, the Sunyani District Court, and the Brong-Ahafo Regional Coordinating Council.